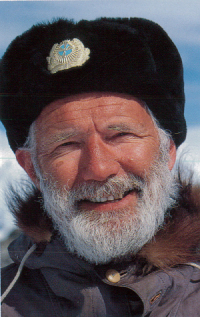 Charles Winthrop Molesworth Swithinbank, distinguished polar glaciologist, died on 27 May 2014 aged 87. A Fellow and recipient of the Society’s Patron’s Medal, Charles made an enormous contribution to polar glaciology and exploration over a career which exceeded six decades. Actively involved in many organisations with polar interests, he provided advice to the UK Government and was recipient of the Norwegian Medal of merit, Polar Medal, the Retzius Medal of Sweden, the Mungo Park Medal and, in 2013, he was awarded an MBE. Charles inspired and guided many students, visiting scholars, numerous other visitors, and members of staff at the Scott Polar Institute (SPRI), an organisation with which he developed a 60-year relationship. His expertise and experience in both the Arctic and Antarctic was unrivalled.